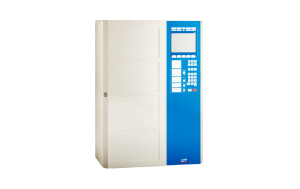 The Printer Field EDF600-1 serves for printing out the events of detectors, detector zones, actuations, transmitting devices, alarming devices or system conditions on Fire Detection Control Panels Series BC600. Depending on the parameterisation, the events will be printed immediately on occurrence, or after manually starting the print-out through the menu. 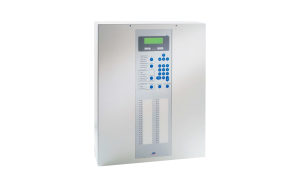 The printer field can be installed in one of the expansion fields in the door of the fire detection control panel, in the Display And Operating Front Panel ABP600-1L or in the Expansion Front Panel EFP600-1. Due to the high installation depth, the installation is however not possible in control panels BC600-CE8Lxx in the 19“ front-mount housing. The unit is actuated via a Serial Interface SIF601-x. In the setup of the printer interface, a print-out with or without detailed information of the events can be selected. Parameterisable filters for different types of events and for freely definable number ranges allow for an application-specific output of the required information. The character font can be set, resulting in a print-out with 24 or 42 characters per line. If desired, an optional empty line can be printed after each event. The roll of thermal paper can be easily replaced by opening the front panel of the printing unit. The integrated paper feed button activates a manual line feed. 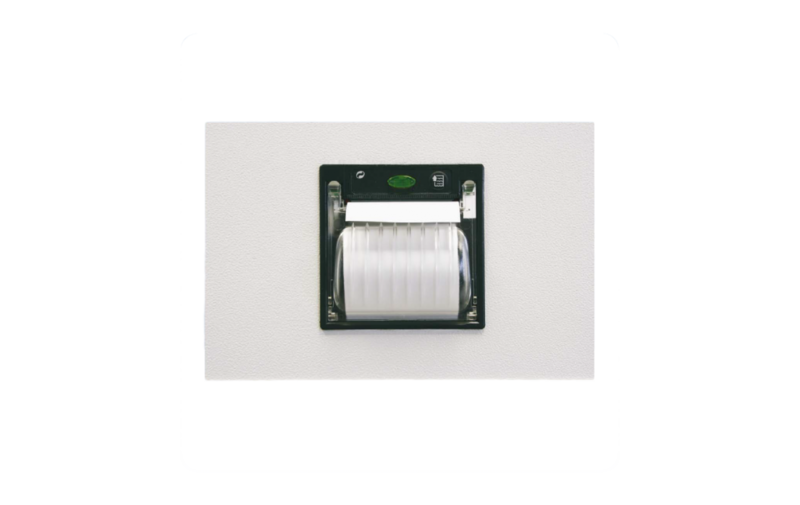 The componentry is shipped with the necessary accessory for trouble-free mounting in the housing front of the fire detection control panel as well as a data cable and a system supply cable. The Serial Interface SIF601 is however not included.